Are you tired of living with the challenges of tooth loss? Are you ready to make an investment in your oral health and quality of life with dental implants? That is great! As the most predictable and reliable solution to replace your missing teeth, you will make a long-term investment in your oral health. While you are excited about regaining a complete smile, we understand that you are concerned about the cost of dental implants in South Daytona. Although they can cost more upfront than traditional options, like dentures, they will eventually pay for themselves. When determining how much you can expect to pay, there are several factors that will influence the cost. 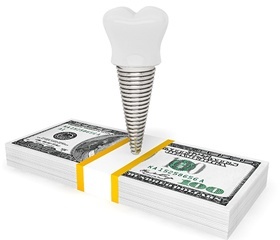 There is no set price tag for dental implants. The amount you will pay is based off your individual treatment plan. As a result, the best way to get an estimate for your new smile is to schedule a consultation for dental implants in South Daytona. To help keep your new smile within your budget, there are several things that can help to lower the cost, such as your dental coverage. 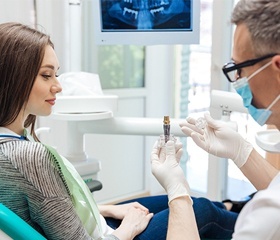 Although most policies do not cover the cost of the procedure in full, it may pay for certain aspects of it, such as tooth extractions or dental crowns. If your tooth was lost due to an injury or another factor, your insurance may pay to have it replaced. To help you maximize the value of your policy, we will work on your behalf with your insurance company to look for any cost-saving opportunities. In addition to your dental insurance, we also accept several different payment options, such as check, cash, and major credit cards. We also offer third-party financing with CareCredit. Based on your credit history, you will be approved for a line of financing to pay for the procedure. You will then repay the amount in monthly installments that accommodate your budget. 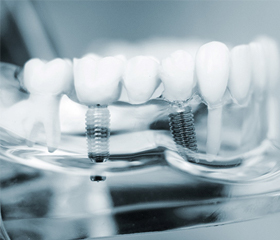 If you are tired of living with missing teeth, you can restore your confidence and quality of life with dental implants. Offering over a 95% success rate, you can rest assured that you are making an excellent decision for your oral health. Although they can be expensive, we will help you find a treatment plan that accommodates your budget. Do not let the price of dental implants deter you from completing your smile. Contact Water’s Edge Dental today to schedule your consultation. We will create the individualized treatment plan that you need.